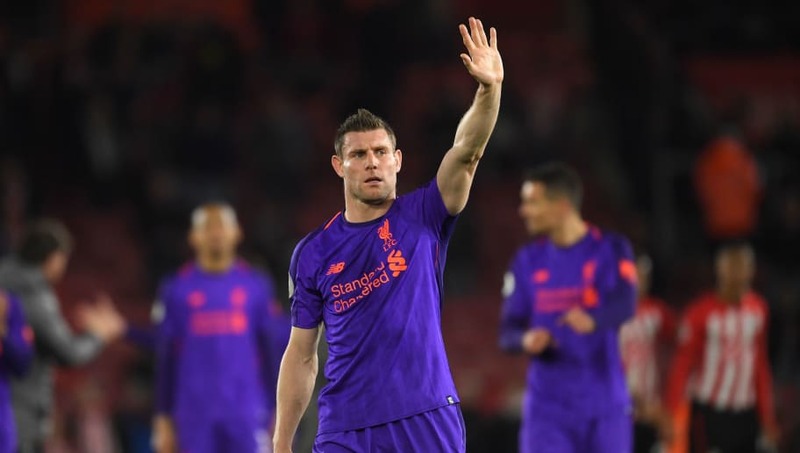 ​James Milner admits that winning the Premier League this season will be 'damn hard' but expects further twists and turns in the title race as the season nears its highly anticipated conclusion. Liverpool are currently two points ahead of Manchester City at the top of the league with just five games to go, although they have played one more match than their nearest rivals. The ​Premier League title race is set to be one of the most closely contested in recent years, with ​Milner admitting it would be 'special' to lift the trophy this season, especially considering the quality ​City possess. "I think it’s special anytime you win the Premier League to be honest, because it is damn hard to do," he told the ​​Liverpool Echo​. "We’re going up against a team that a lot of people have called the best the Premier League has seen in Manchester City. The way they play, the players they have and the amount of points they have, for us to be going toe-to-toe with them and the amount of points we can get, hopefully, will be good enough to get over the line." The 33-year-old won the title with City back in 2012 and 2014, being one of just two players in the ​Reds' squad to have lifted the trophy, and his experience in the competition means he is fully aware that there are further 'changes' to come this season. "It’s so hard to win the Premier League, the two other times I have won it, it has been on the last day of the season and it looks like it’s going to go down to the death again, so there’s so many changes in a title race," he added. "We’ve seen that this season and seen that before and when we won it incredible fashion with City in the QPR game (in 2012), you’ve seen the changes in this title race as well. It’s been the same this season and with five games left for us, but so much can happen and that’s why everyone loves the Premier League."